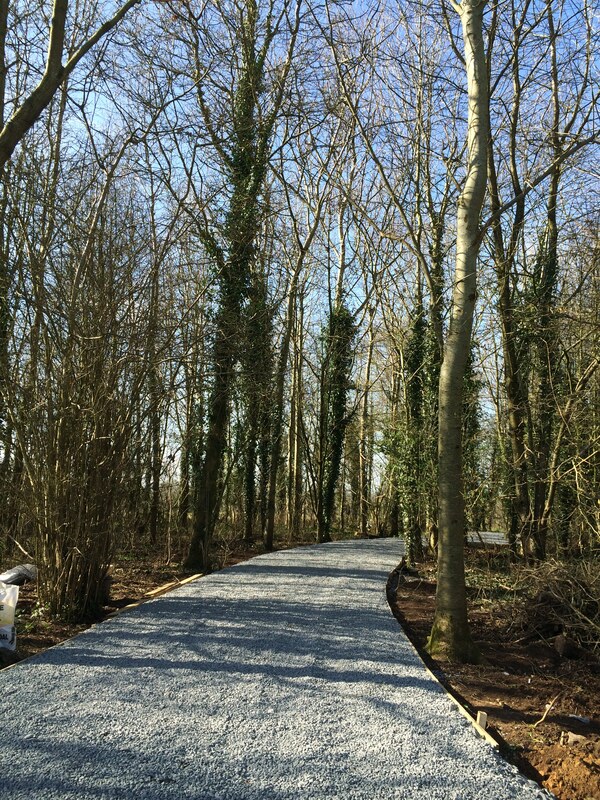 I gained planning permission in 2015 for a low energy new-build house in a beautiful wooded setting in rural Northern Ireland. The clients wished to draw from the proportions and aesthetic of a vernacular Irish cottage, combined with the best that modern design and technology can offer in terms of open plan interiors, flexibility, lots of natural light and low energy consumption. 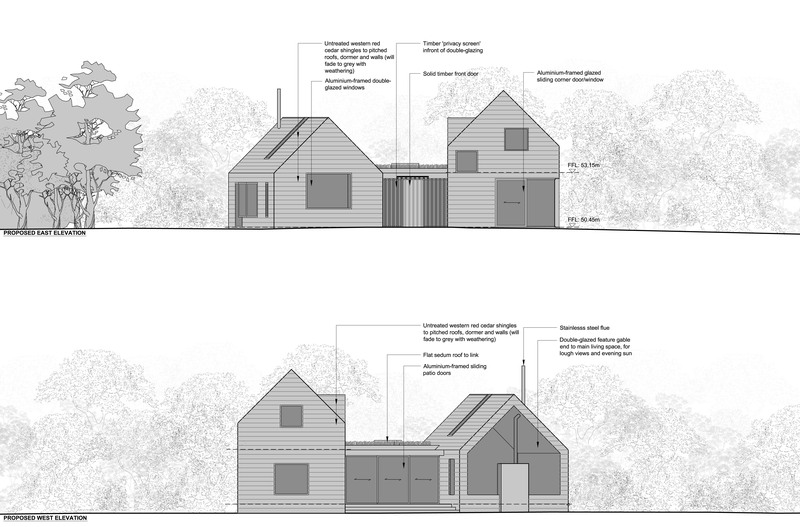 The design emulates the simple rectangular pitched form of nearby vernacular buildings but will be clad entirely in timber shingles creating what appear as two smaller blocks connected by a glazed, grass-roofed link. More images to follow, but for now, a couple of simple elevations from the planning application and a photograph of the driveway that has recently been created by Plotscape, in preparation for the build (using heavy-duty Geocell ‘honeycomb’ cells to protect the tree roots from lorries during construction, as stipulated by Planning). It’s going to make a fabulous approach to the house. Construction of the house is currently planned for 2017/18.